Door Discs are the traditional method for displaying the room (or “resource”) number. 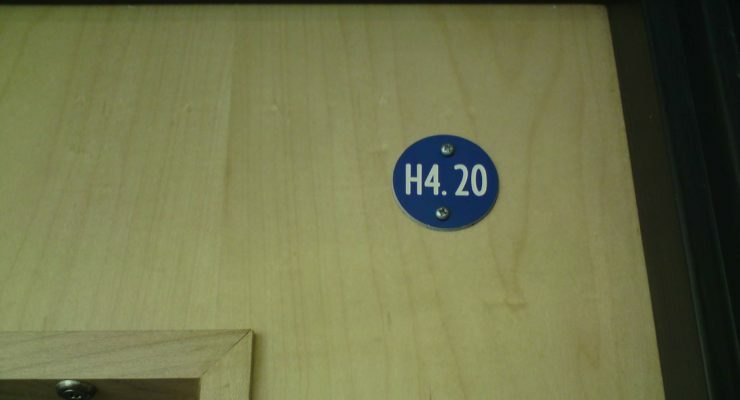 Many establishments choose to have door discs on every single door, be it a broom cupboard, tea room or sports hall. Door Signs with raised text, high contrast detail and Braille as appropriate for DDA standards. Door Signs with "Sliders" on which allow occupants to choose their desired text.